Somewhat common, and the only actual doubled die capped bust variety. Available in all grades up to MS66, though MS examples are quite scarce. 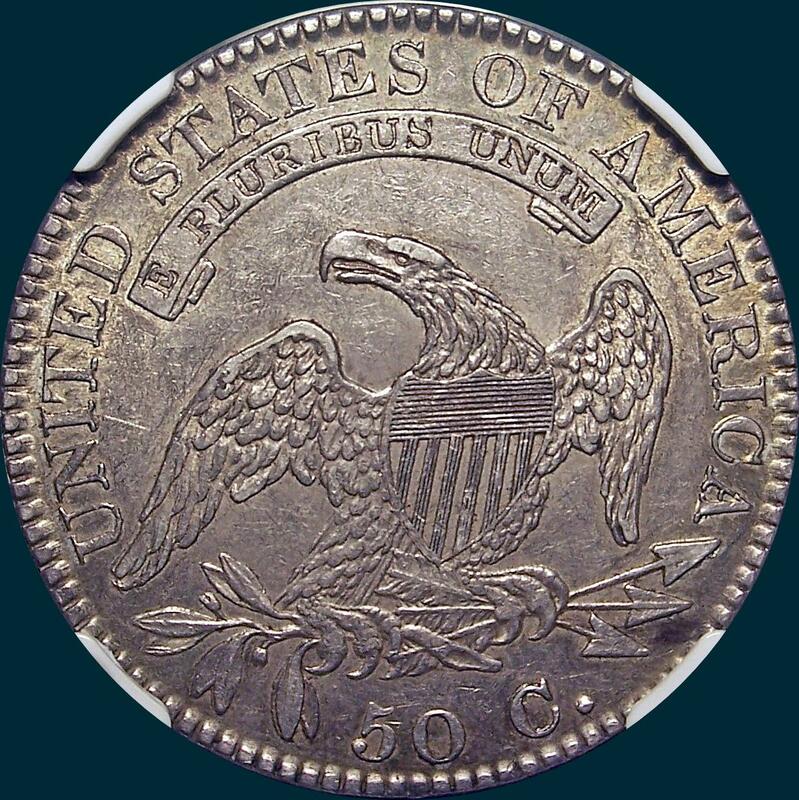 NGC Graded AU58. 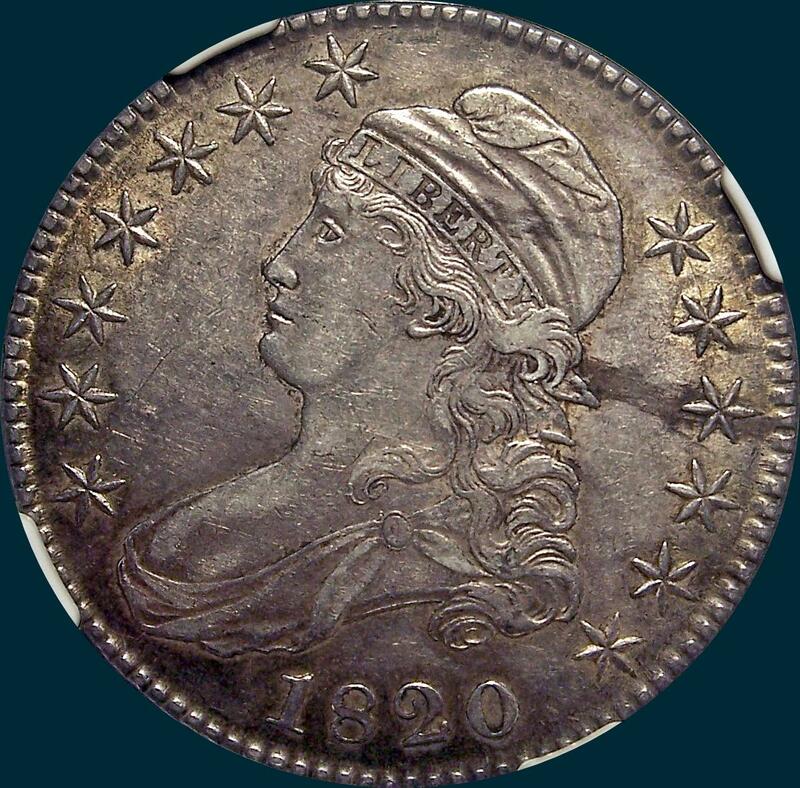 A pleasing coin that is not too heavily toned and clean. May be a tad overgraded, but has an attractive look. From Heritage way back in 2006: A trace of highpoint friction keeps this piece from Mint State. Generally well struck with still-lustrous gray-gold surfaces and a dark streak of patina behind Liberty's head. Variety Attribution: Obverse-Star recut on two lower inside points. Star 7 nearly touches milling. Date is 9 1/2 mm., large and medium wide, with square base 2 and no knob. Reverse- 50C is 2 mm. and low. Arrow to A is 3/4 mm. Right sides of T-I nearly in line. This variety usually sharp and well executed bother obverse and reverse.